Clare is the series' protagonist. 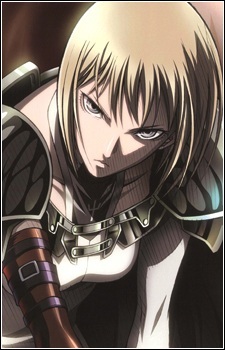 In the beginning of the series she is number 47 of the organization's 78th generation, making her the lowest ranked claymore. She also holds the distinction of becoming the first individual to willingly become a claymore. Her goal is revenge against the awakened being Priscilla. She saves Raki from a youma and takes him under her care because he reminds her of herself when she was younger.